We make every effort to ship your entire order within 2-3 days. In the event that one or more items are out-of-stock, the remainder of your order will be shipped and you may re-order the missing item(s) at a later date. 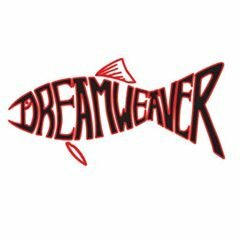 Dreamweaver will contact you with details of your order including the revised total amount charged. When a particular lure is hot we will have shortages as we try to meet demand. Shipping Charges: USA USPS Flat rate shipping of $7.00/package unless the order exceeds $150.00. In this case, we will ship the order free of charge. We prefer to ship USPS Priority, but will ship via UPS when requested and at the rate quoted during checkout. 2nd Day or Next Day shipping charges are higher. International: We charge actual shipping on international orders. Our preferred method to ship is USPS International Priority. It is possible that the charges calculated during the checkout process do not reflect the true cost to ship the order. In cases such as this, we will advise you of the charge and will proceed with shipping the order. To estimate what your shipping cost may be, we recommend you visit the USPS web calculator to model the cost. Our Return Policy: Every item in our store comes with a 30-day money back guarantee unless otherwise specified. If you are not completely satisfied with your order when it arrives, we’ll refund your money or exchange any item. We will reimburse you for the shipping cost based on our cost to ship to you via USPS – Priority Mail. Send Returns and Exchanges to: Dreamweaver Lures – Returns. If the package was damaged in shipment or is a perishable item, please email us before returning. If Dreamweaver made a mistake on your order, your return surface shipping will be reimbursed. Please allow 2-3 weeks for “turn around time” for the issuance of credit or for a shipping reimbursement.